Alberta Pay Day Loan in minutes! 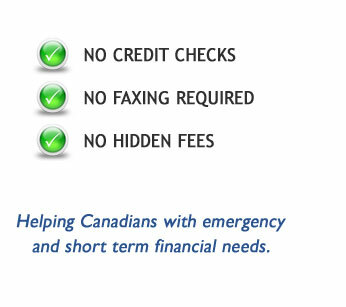 Do you need a second chance credit and reside in Alberta, Canada? Is your credit history in bad shape? Are you short of cash? Call now if you need money, a payday advance, payroll loan or cash advance. We can provide you a payday cash advance loan for up to $1500 with NO COLLATERAL REQUIRED! If you need money NOW, our short term loan service will provide you with a payday advance loan for up to 15 DAYS! Our quick cash loan program is quick and convenient. Even if your previous credit history is not perfect, My Next Pay Alberta strives to provide every customer with a short term cash loan that is suitable for your budget. Getting a payday loan or a cash advance has never been easier! There are no forms to fax in or credit checks! Simply fill out our fast online payday loan application.